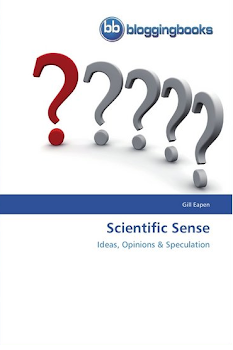 Scientific Sense: Is this what we really want? Recent news (1) that a single digital photograph could predict genetic diseases, demonstrates where humans are heading. Now, not only hardware but also behavior (2) is predictable. We are fast approaching a regime in which both a newborn's lifespan and her expected contribution to society are predictable at birth. This has broad implications for policy. It is important to revisit the human objective function. What exactly are we trying to maximize?. Are we trying to maximize societal utility - aggregate happiness of 7.4 billion people across the world? Are we trying to segregate and locally optimize? If so, are we considering time as an axis? Without such a notion, tactical optimization is likely to fail. In a regime where an individual's expected contributions are predictable, a utilitarian society could cull and advance at the expense of humanity. Mathematics could override emotions and ultimately, humans. Is this what we really want? More fundamentally, is a human an aggregation of her memories? If so, are those memories valuable in the context of a societal objective function? It appears that it ultimately comes down to what humans want to maximize. A planet spinning in distress could go on for another 4 billion years but more likely will be eliminated by an asteroid collision in significantly less time. If so, should we not attempt to maximize tactical happiness? Should we not attempt to lift 7.4 billion from distress and sorrow? Why do few humans with immense resources not understand the construct of the universe? It is certainly depressing, but then it has always been.